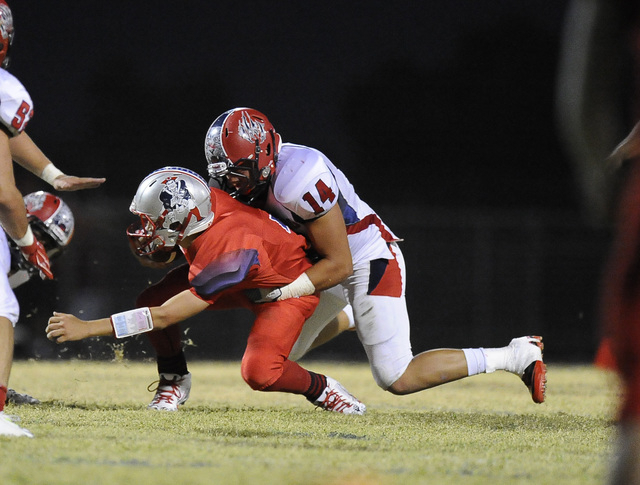 Kylen Camat-Toki isn’t Liberty’s starting running back, or the backup or even the backup to the backup. 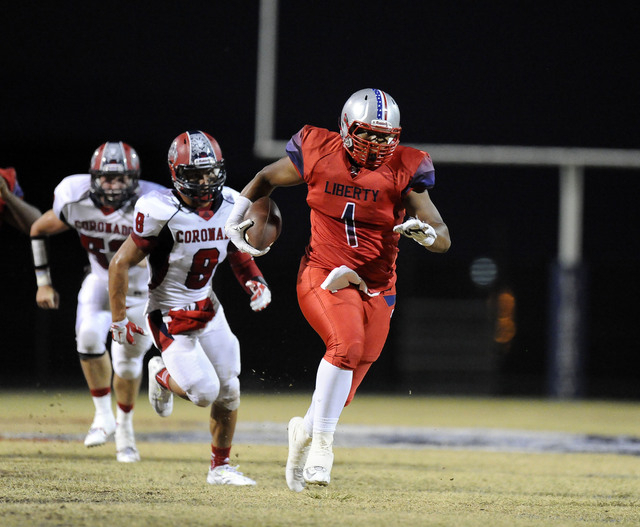 “That’s actually like our fifth-string running back,” Liberty coach Rich Muraco said. 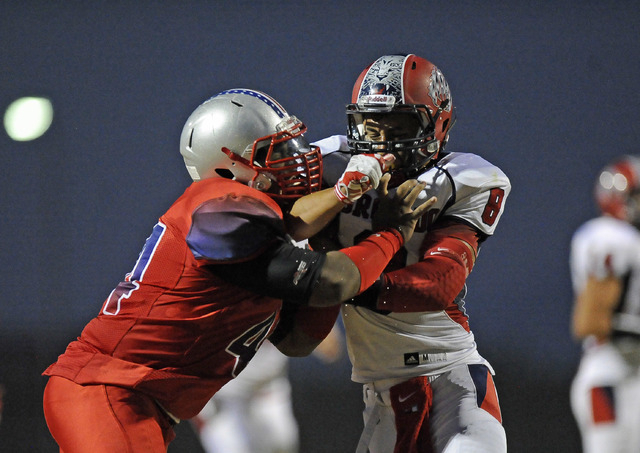 But that didn’t stop Camat-Toki from coming through with the game’s biggest offensive play Friday night. 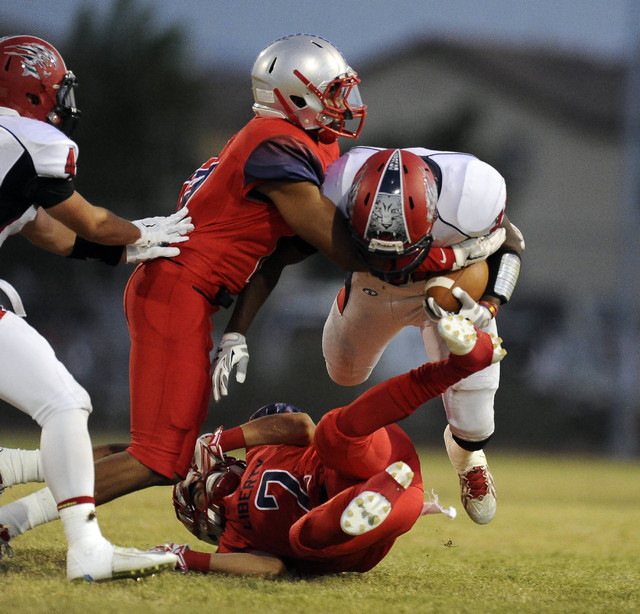 Camat-Toki ripped off a 78-yard scoring run on Liberty’s first offensive play of the second half to give the Patriots the lead, and they held on for a 14-13 home victory over Coronado. Injuries paved the way for Camat-Toki to get some carries, and he took advantage. After getting just four touches in the first two games, Camat-Toki rushed nine times for 108 yards Friday and scored the game’s only offensive touchdown. 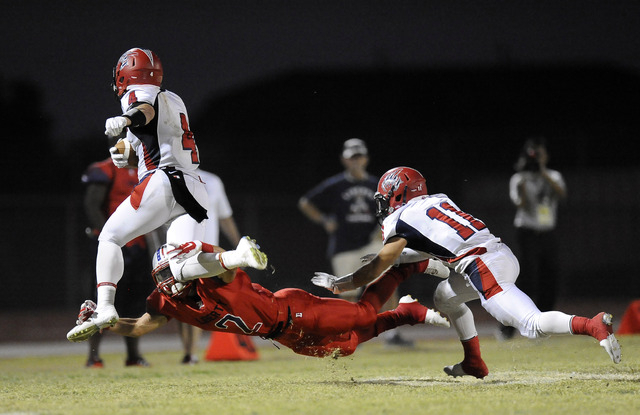 Camat-Toki appeared to be stopped near the 30-yard line on the scoring play but ripped away from Coronado’s Kainoa Granstrom, who couldn’t hang onto Camat-Toki’s jersey. 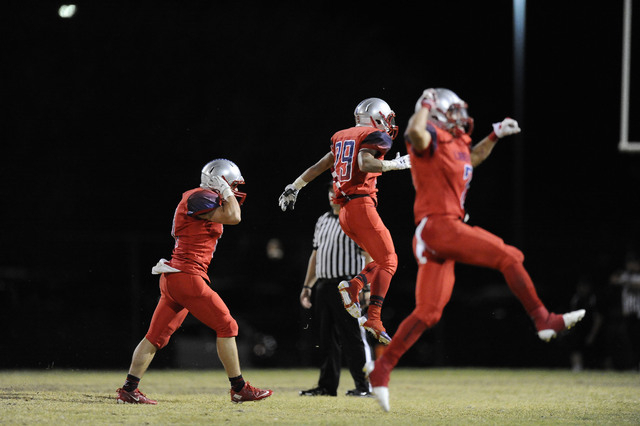 From there, he raced for the end zone, and Matt Blumberg’s extra point gave the second-ranked Patriots a 14-13 lead. 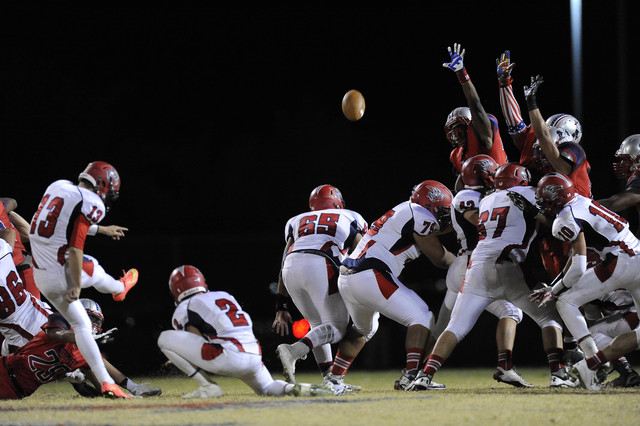 Blumberg’s kick turned out to be big, as Coronado’s Spencer Cofer nailed a 39-yard field goal with 9:43 left to pull the Cougars to within a point. Neither team mustered much offense. 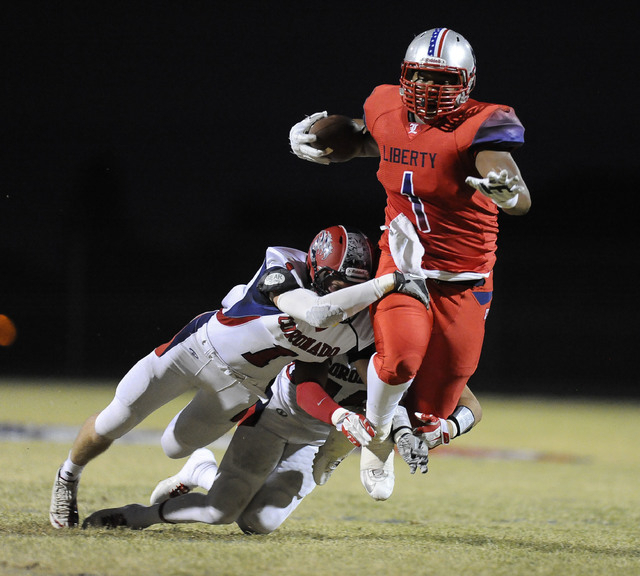 Liberty finished with 233 yards, and Coronado had 198. 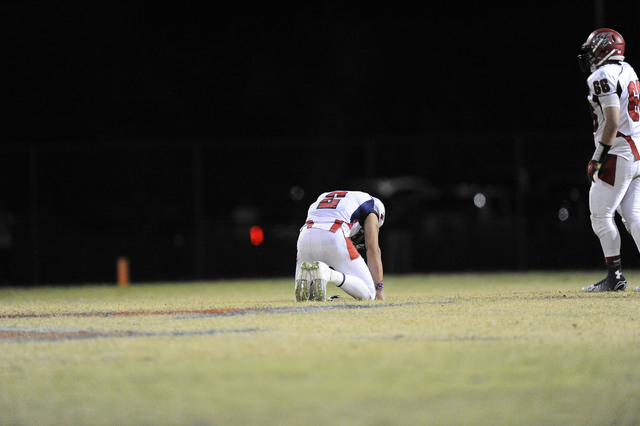 But the eighth-ranked Cougars had one final shot. They got the ball back at their 20 with 55 seconds to play. A couple of quick completions moved the ball to the 42, but quarterback John Farella nearly erased his team’s chances with an ill-advised scramble on the following play. 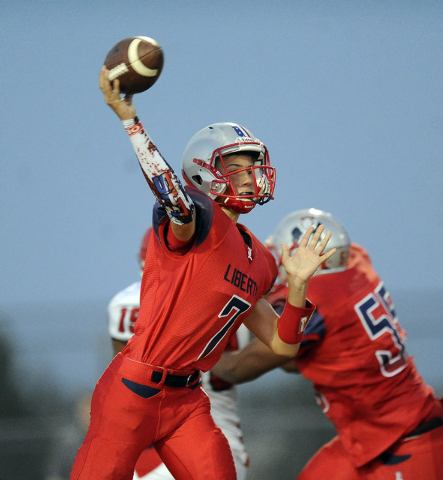 More than 10 seconds ran off the clock, but Coronado raced to the line and spiked the ball, and Farella then hit Travis Boman with a 21-yard pass on the next play that moved the ball to the Liberty 35. The Cougars were again able to get to the line and spike the ball, with two seconds left. Cofer, who had a 46-yard field goal in the second quarter, came on for a 52-yard try, but it was short, and the Patriots escaped with the win. The Cougars (1-1) captured the momentum late in the first half when Koy Harris jumped a route and picked off a Kenyon Oblad pass. 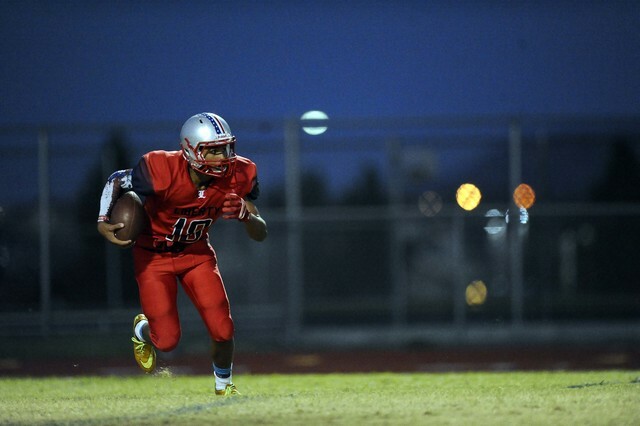 Harris raced 81 yards for the touchdown, and Cofer’s extra point made the score 10-0 with 54 seconds left in the half. 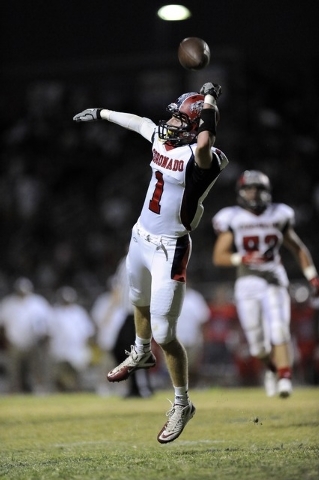 Ethan Dedeaux then came up with a game-changing play for the Patriots. 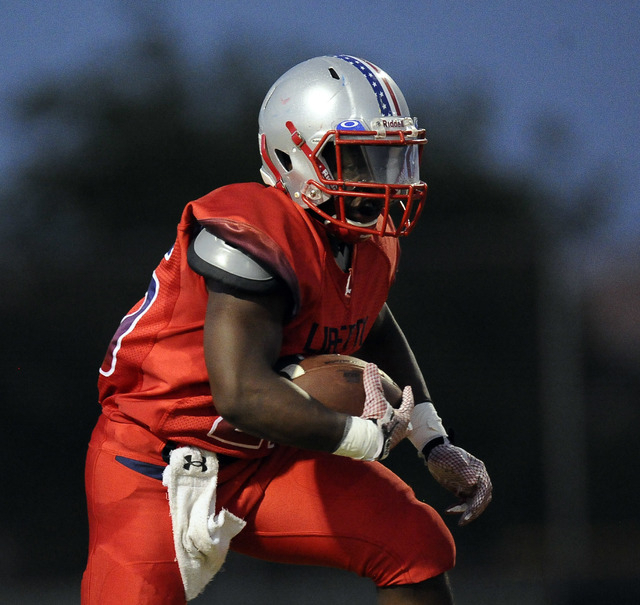 He leaped to snag the kickoff at the 1-yard line and sprinted 99 yards down the middle of the field for a touchdown and a huge momentum swing for Liberty (3-0). 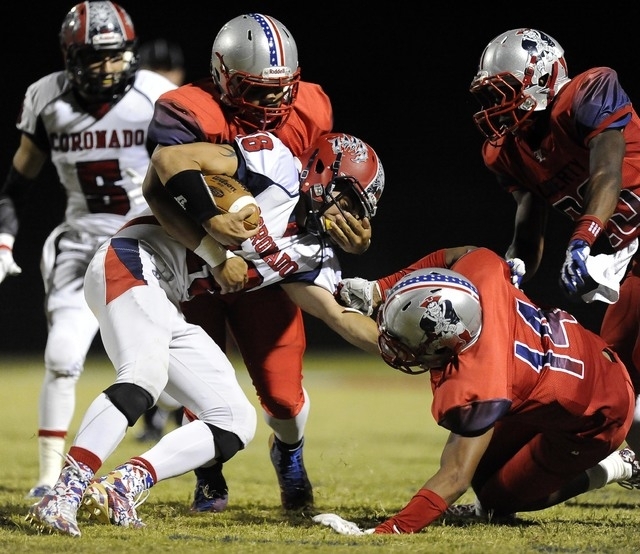 It also allowed Muraco to look to run the ball coming out of halftime, and Camat-Toki answered with his big carry. 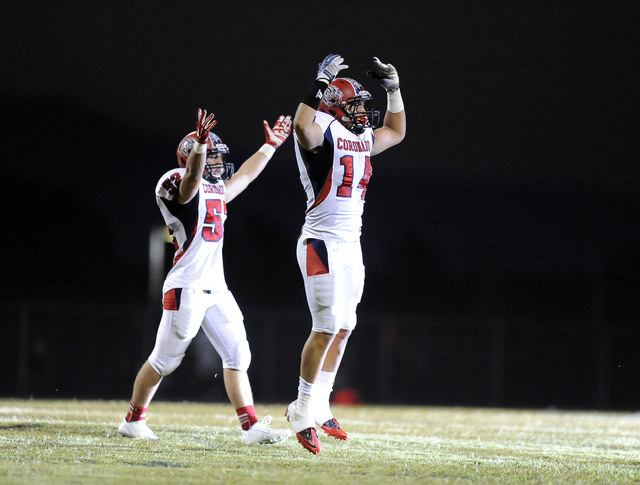 Farella completed 18 of 30 passes for 150 yards, and Boman had nine catches for 97 yards for the Cougars.